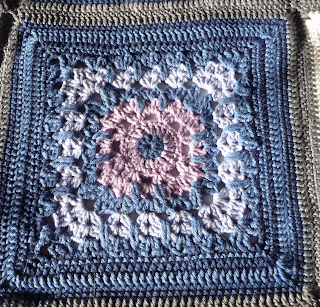 I Love this square, it has spike stitches, enough said. 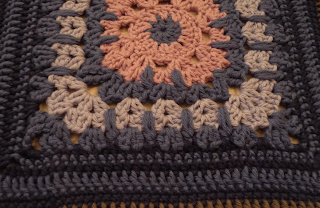 In fact this blanket was when I first learned spike-stitches and I loved them so much *Kio and I used them in our decorative bunting pattern Søtten which you can find for free here. 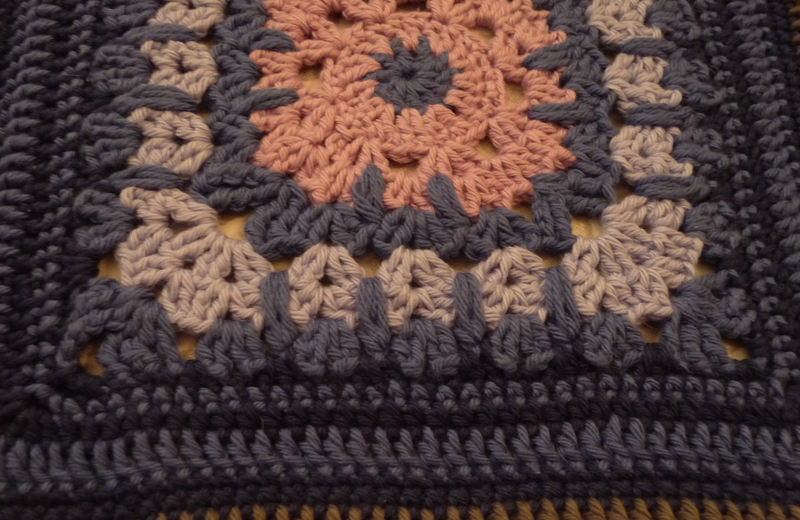 Look at those pretty spike-stitches. I love the walkthrough because as before it calms me down when it tells me that the square will curl on round 11 but will straighten itself out eventually. Usually when my crochet curls I frog it and start over, again and again, so this saved me a lot of time. 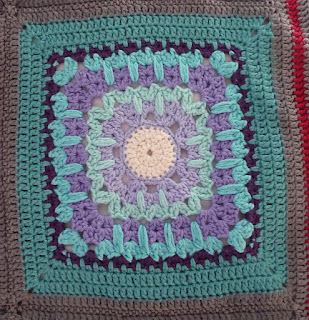 See how they run weighed 32 grams and 21x21 cm after my added rows, so it is much bigger than the squares in the original cal, but we needed a bigger blanket. 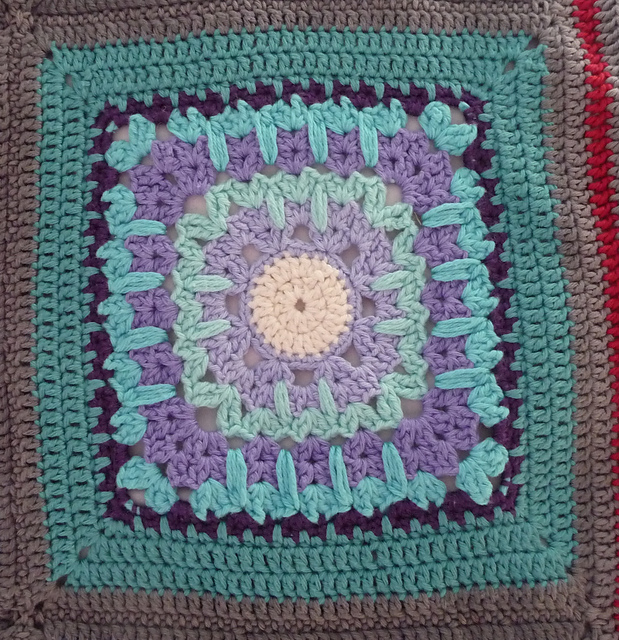 And all that grey really helped calm the blanket down and made crocheting them together a lot easier too. 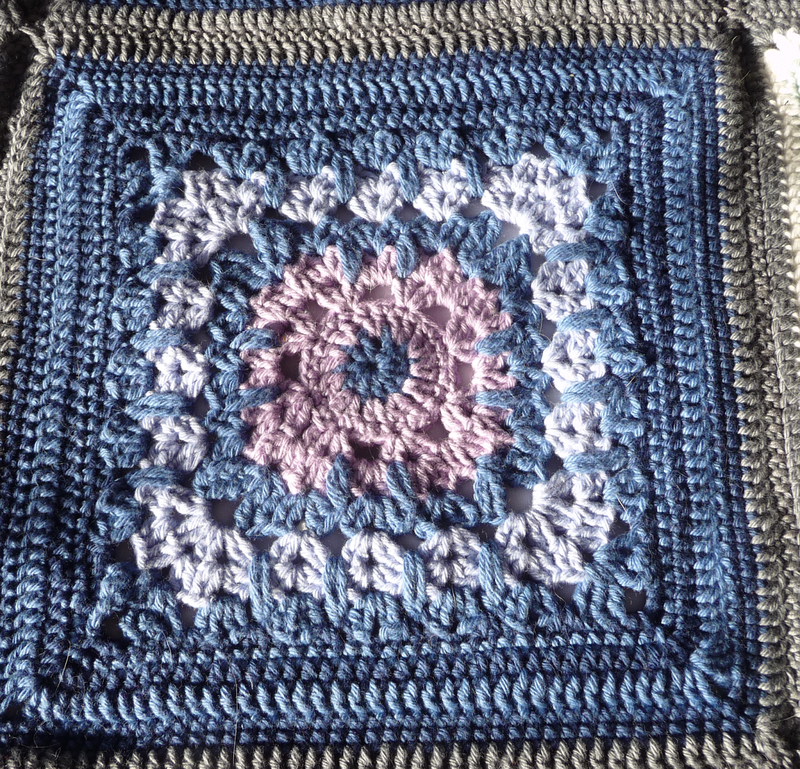 I think her square are busier than mine, not that that is a bad thing, her square sort of feels electric, with the colours and the spike stitches I feel like it is alive and might jump around like Flubber any minute. I love her purple with the ice turquoise. But I do love my dark and middle blue together, I used that combination so much I ran out of middle blue quite early so I had to buy more. Tadaima~ Honey I am home!